(*) Here “most” means those who read this blog and actively comments on it. This may (or may not) involve some selection bias. It is not that these choices are better. For instance, I can not understand why anyone would desire to jump on an airplane and go to resorts (I have done enough of this already, thank you). Or go back to grad school! Rather I suspect it is a desire to achieve an equilibrium between one’s personal values and one’s life. Now the problem is that this desire for change can lead to an overreaction. For instance, children who are brought up by very religious parents either tend to be very religious themselves or atheists when they become adults themselves rather than becoming middle of the road agnostics. What was ingrained was the fundamentalism but not the manifestation of it. Hence, the idea that one must believe in something remains unquestioned. The target of believing is simply changed. If faith was a problem in the first place, changing faith to something else will probably cause the same problem further down the line. Retirement has the same problem. I know several people who in their “retirement” are doing exactly the same as they did in their old job only with less committees and meetings (everybody seems to hate meetings; I suspect meetings were invented so that managers could justify their higher salaries 😛 ). They are not really retired. What about the rest of us. How do we avoid getting into the same problems in a new way? 19 users responded in " Reinventing yourself "
While I’m sure the “grass is greener” mentality is at work, as you say, I think the problem is much more basic. I think people generally don’t know themselves very well. We clutter up our lives with whatever career and other busy-ness and we don’t really get a chance to know what we really want for ourselves, because we don’t take the time to listen. I have had friends say to me that they admire my ability to make decisions. I don’t agonize about decisions–I know what I want, and I go get it. It’s very easy for me. 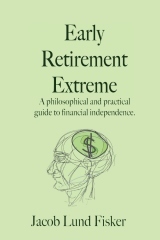 While my total dropout from a 22 year career in finance to retire may seem extreme– I have never been happier. But I knew exactly what I wanted, this was not an agonizing decision for me. So, unfortunately, that makes me the worst person to give advice in this regard, since it’s not something that I learned how to do–it’s just me. We retired early at 50 and it was easy for us to reinvent ourselves, once we decided to do it. The hard part was making the decision retire and to travel the world on an open ended journey. Several things came together where it became obvious that it was now or never when we “jumped”…& now we can see it was the best decision of our lives! Yes, I have done a lot of travel in my life and even lived a year in Italy when I was young, but exploring the world together slowly as a family is even more enriching than we imagined. We are almost 2 years into our travels and love our mobile lifestyle where we travel for 7 months and then settle into a beautiful village in a lovely ocean view rental home in southern Spain for a sunny, warm winter for 5 months. We can both be workaholics so I wondered how we would do with an endless summer lifestyle, but we have thrived on our new existence and love living in the “now”, never needing to know what day or time it is. We mostly got out of the dollar when it was high and sold our home at peak in 2005, so those things help us continue to live large on little even in Europe. The educational benefits for our daughter have been extraordinary and we even take classrooms of kids along with us virtually ( some from disadvantage areas who will never travel). The internet and free skype webcams keep us close to family and friends as we roam at will.We worried about a lot of things before doing this, but now wish we would have done this sooner as this kind of freedom is the way to live! Life is short, follow your dreams..it really is easier than most imagine. We were motivated to do this for our child, but it has been so rewarding for all of us on every level. I think it’s important to create a vision of what you’re moving towards, rather than the circumstances (like work) that you’re eager to move away from. And then it’s critical to stay flexible, move with the flow of life, rather than fight the current. For instance, when we first retired we anticipated traveling the country in an RV for a year, then adopting our daughter, then deciding whether to continue our vagabond lifestyle with her or settle back into a sticks and bricks home. But the current of life can take unexpected turns – like the need to care for a gravely ill family member – and you instead feel thankful that you have the freedom to be there and help. So we rest, regroup and create new visions. ERE, I’m still mentally hackeysacking your “idea that one must believe in something” line. I’ve heard that notion before, from incredulous souls who can only imagine motivation from their own FORs. “You gotta do this…”, “You have to be this way today…”, “You can’t live that way in these times…”, etc. I did the ‘Grass is Greener’ thing a few years ago. I left one company to go to another, hated it, and was back after 7 months away. It’s not always true. As it turns out, I’m a programmer and I love it. I suspect when I get to be financially independent I will still program but I will also do some of my other loves like photography and woodwork. I’m one of those creative type that need to be constantly engaged, and not necessarily by people. Books, ideas, crafts, finance etc keep me entertained. For me it is about control; I’m not that unhappy with what I am doing but I am pig-sick of incompetent jerks who I have no respect for telling me what to do, and stupid practices like performance management that offend my being. I get more intolerant and crabby as I get older, and now I have nearly enough money to not have to put up with the jerks I don’t plan to put up with them. I may still do engineering though, it interests me and I like the challenge. I think that Millionaire Mommy hit the nail on the head. In preparing for retirement, you shouldn’t focus on being free from the undesireable parts of your work life. These are negative freedoms. Instead, concentrate on the positive activities that you will have the freedom to do in retirement. I retired 9 years ago when I was 34. Unfortunately, I only wanted freedom from work that I didn’t like. Once out of the rat race, I didn’t know what I wanted to do with my free life. Over time, I’ve learned that I have gained the freedom to travel, learn languages, make interesting friends, help my family, become physically fit, and even work part-time as a teacher. Once I figured out what I wanted, retirement became the best experience of my life. Re getting into the same problems in a new way – I wonder if it isn’t somewhat inevitable? There’s probably something within their previous field of work that a retired person really loves. Like meetings… as much as they whine about them, many people LOVE meetings (having some degree of extroversion probably helps for this), just not too many. I suppose the meetings get in the way of doing their work, just like working at a job can get in the way of a personal life. Another area where I find the over-reaction manifests itself is the simplicity and frugality movements. There are so many reformed cluttery people who become “50-thing” people or previously debtor-types who have become super-frugal. I have often wondered why that is and whether they will swing back towards a happy medium over time. I also think that such questions as “if you had enough money (or time) to do whatever you want, what would that be?” are largely academic until you actually do have the money or time. Most people need to feel their way into what they want from life, take in new information and adjust their lives accordingly and radical change is one way they do that I suppose. One thing that most of us don’t do is actually imagine what life would be like (in a practical way) if we go with that radical change – we have the escape fantasy of traveling the world etc., but don’t stop and think about what we’ll actually DO every day or the challenges we’ll face on a daily basis in that kind of scenario. I agree with ermine – it’s about you having control over your life. I’ve nearly paid off all my debt and then it’s into building up savings. Even once I get as far as having 10 grand in the bank, that’s about 8-9 months expenses sitting there in case I need it. That’ll be a great feeling! I think Bob Dylan said it best, “A man is a success when he get’s up in the morning and goes to bed at night and in between, he does what he wants”. Or something like that! 2. An end time-normally no longer than an hour but shorter if possible. In some cases somebody may have to make a long speech. This is OK if the rest of the rules are followed consistently. 4. Specific attendees, a target audience. No mandatory attendance “just because” or to “pass information.” That’s what mass email is for. 5. Expected inputs communicated to specific attendees to bring to the meeting. 6. Expected meeting output(a): ideas, recommendations, decisions. This is the real litmus test of whether the meeting is worthwhile or not. A properly conducted meeting has one final benefit: It sends the message that the participants’ time is at least as important as the manager’s. I was at a family gathering last week when the conversation of family and friends turned to me, the retired at 51 guy. After a few probing questions about my daily activities, they decided that my answers did not satisfy them. I told them I basically do whatever I want. I have two high school kids that I have with me every other week (divorce) and I commit to being a good father to them. On my free weeks, I play. I always work out and am very fit for my age. “Are you going to start a second career?” Nope. “You should go back to school.” Nope. “start your own business.” Nope. “Find a girl and get married.” I’m good, nope. I was amused that I was a great source of frustration for them. My older brother didn’t know what to think of me. He has a million dollar a year MD practice and says he could never retire. Gotta pay for the house on the golf course with the unused bedrooms, his and the wife’s European luxury gas guzzlers, seven day a week nanny coverage, house keeper ( for his stay at home wife), and tuition for their sons music education in Manhattan NY (5th year, 2 to go) All done by working seven days a week from morning till night. Oh and add call out for OB Gyn. Uhhhh. No thanks. The college professor who suggested I go back to school just to “stay mentally active” lives in the same country club. Tenured college professors make good bank. He’s been living well and is extremely obese. He is trapped in the one more year syndrome and says he likes being the most senior professor in his department. Great, I say. Sounds pretty cushy. I’d rather be physically active and fully mobile than worry about my brain decay. If he would have thought to ask if I exercised my brain rather than assuming that Iay around on a hammock drinking piña colada’s all day he would have gotten a satisfactory answer. I really don’t feel the need to blaze any new trails or take on responsibilities that would kidnap my freedom from me. If people want to call me lazy, well then I accomplished laziness to a masterful level. I think I will go for a PhD in that subject. Some engineers want to do advanced scientific experimenting research but don’t need nor want the required Ph.D. license process after reading all the textbooks (without needing an grade or tuition to “pass” or learn the subjects well); rather then apply the science for profits. Unconventional methods and processes for science discoveries are also achieved by the poor, though passionate achiever. The idea of reinventing yourself in retirement is SO important. Here is my story. Mid-40s, laid off for 3 months. I had many ideas, but found that actually I squandered a lot of the time as I kept many of my old habits, but with the extra time just became a little lazy. Sure, I worked out more, and kept busy looking for new work. The intermittent interviews kept me from travel and many longer duration activities. With the wife working and kids at school, it also limited me. I was especially frugal since the layoff was unexpected. So, now I’m back to work. Actually looking foward to being more productive. Caution- to everyone who thinks it would be great to be retired – make sure you give it a trial run if possible first, and make sure you have a solid plan with what you are going to do post-work. I think I’ll have a renewed focus now – because I am setting some ultimate retirement goals and look forward to hitting them. The first few weeks are nice not working, but then not so much for me. For some of us, the root issue is a problem-seeking personality. I am a prosecutor. I take the cases law enforcement brings me and try to hold the perpetrators of crime accountable. Much of the work is devoted to crafting tactics to get the evidence admitted at trial so that the jury has as truthful a version of the story as possible. The things I hate about the work are usually heaped on the failings of management, the actual work itself is often interesting and intellectually stimulating. Earlier in my life, I left a monastery where I was training to be a priest because dealing in relationships with others that focused on the mysteries of life (birth, love, death, hatred, sickness, pain) simply did not suit me. I need to see the beginning and the end of a project. So, retirement allows one to leave the work place, with its leadership vacuum and its idiot bosses; but the problem-seeking solver of problems is going to want some to occupy his or her waking hours. And trivial problems or repetitive ones (i.e. same problem, different person) aren’t attractive. I almost wish for a crisis situation that places the problems of adaptation and survival truly at issue. That would brace the body and mind quite engagingly. Still, it seems a bit selfish and antisocial to wish for a crisis that would potentially harm some people just to make my life zesty. Maybe I’ll just sleep a lot, like a lazy old dog on a sunny day. When I retired my boss suggested that the loss of status would be a big problem for me. He was retiring also at the time and I think he was finding it would be for him. For me – nah. After some years of being high profile I just loved being a nobody with no expectations on me. Its taken a few years but now I reckon I have the perfect life. I’ve set up my volunteer work so I turn up when I want to. I just need to do some 4-6 hours a week but the timing of that is largely up to me. I do karate, paint, embroider, knit, socialise, have time with husband and family, garden and generally potter around doing not a great deal a lot of the time. I have learned to play bridge – a game my husband loves and which has proven a challenge to me and I can see the bridge club being a high priority for my husband after retires next year. What I really love is being able to back out of bad social situations and have nothing to do with people who are vexatious to my soul. I like being alone, or just with a few chosen people instead of being forced into the extraverted work environment. I like my version of frugal living in a modest house in a modest suburb. I would very much prefer never to have to travel, though my husband wants to do his trip to the US and Canada (from Australia) so we’ll do that next year. But afterwards it will be the modest house in a modest suburb again with few demands. Perfect. For me it is not the greener gras or the reinventing what”s make me tick with new vigour. Last three years I plunged in supporting a neighbour family of which the husband had severe brain(tumor) problems. Now he is stable, I walk with him every week. His personality has (slightly) changed and he prefers to be on his own.I get on with the two children and I have become a very close friend with their mother. Luckily she found another man to live with so my friendship with her did not grow to proportions which would spoil my own marriage. This is something I make now time for and which gave me a lot of satisfaction. It was complete new for me. It has learned me and my wife to stay open for others, and let go (to quite a range) the idea that spouses are excluding others to be very close friends with. I hope that my financial independence may help for more unexpected adventures.